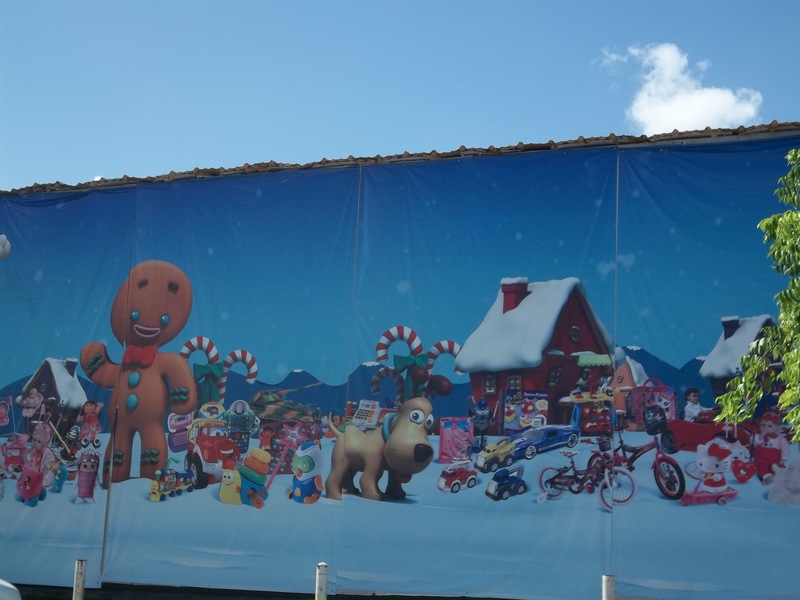 I love being here and not ever thinking about snow…but then I saw this pic on the side of the Wal-Mart. NOOOOOOOOO!!! 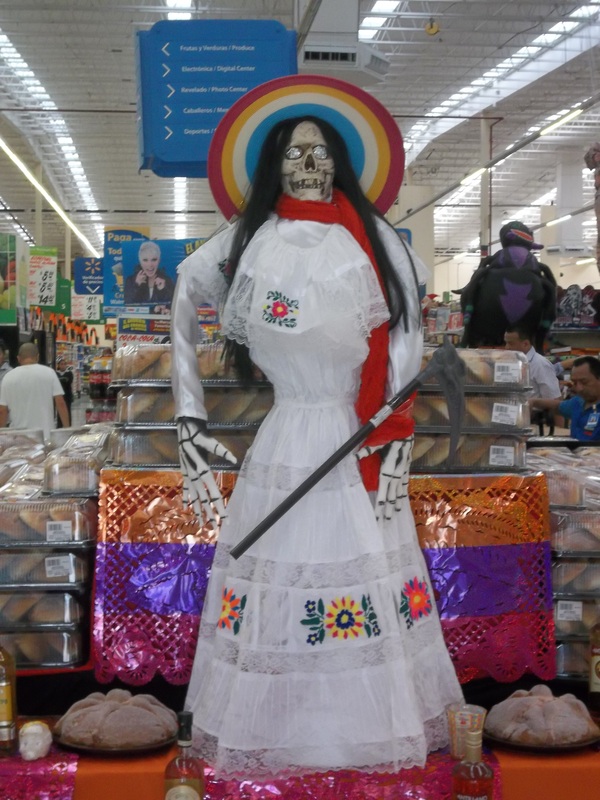 I also found this attractive lady at Wal-Mart. You can’t see in the pic, but she is surrounded by alcohol and bread. This is typical, right? 😉 (Yes, I know it’s for the Day of the Dead). Glad to see you’re blogging again. Yes, I love to write…just got a little caught up with moving and trips. I also love the comments that people write. Time to write and look for a job!